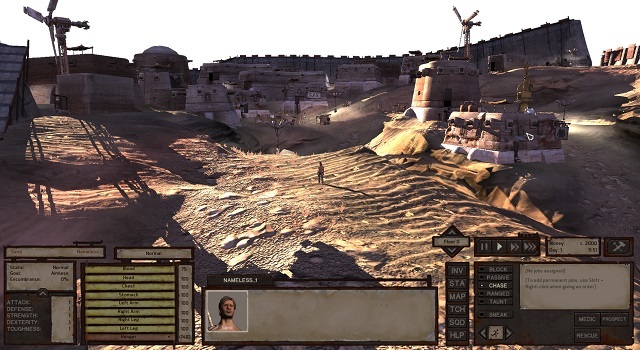 Kenshi, the uncaring, dirty sandbox RPG/RTS hybrid from Lo-Fi Games, is getting a sequel. The developers announced it relatively stealthily, via the Steam forum, using the opportunity to say a few brief words about where they’re heading with it. They weren’t going to announce it until it’s further in development, but seeing players think they’ve abandoned the game only because they’ve stopped tinkering with it after a decade made them show their hand. The working title is Kenshi 2, and seeing how much they care about the game’s outward appearance, it might as well turn out to be the final name. It’s going to be set 1000 years before the first one, during the Old Empire era. It’ll share the first game’s code base and engine, but the engine (Ogre) is going to be upgraded to the latest version. The first game is also going to benefit from the resulting facelift and performance improvement, as they’ll include the upgrades in it as a free update. There you have it. Kenshi 2, coming when it’s done. Since they’re building upon a complete game already, this one will hopefully take less than a decade to get to the finish line. If not, the original Kenshi is one of those games you could play for a lifetime, so dont’ fret. If you haven’t tried it, Kenshi is very much of the European school of jank and not giving a crap about you. It’s hostile, it’s difficult and it’s unbelievably grimy. If that sounds like your cup of tea, now you have a sequel to look forward to as well.